This is the first set of teas I decided to test in my grand (old) tea tasting experiment of this summer. 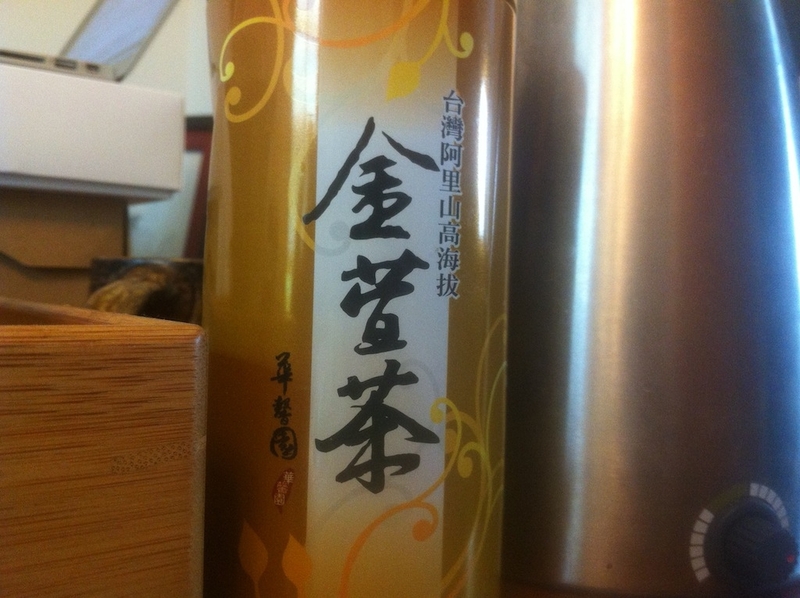 My first foray into the stash of oolong I’ve been keeping around brought back fond memories of days spent in Taiwan. A 2011 Ali Shan Jin Xuan which I purchased at the top of Ali Shan mountain itself. (shan, 山, literally means mountain, so I’m repeating myself, but I’m willing to accept that today). It wasn’t an easy trip. My friend and I had planned to travel to the Chiayi area and spend several days visiting the gardens of this famous tea mountain, but as we sat in Lugu watching local TV we learned that a deadly train wreck had just occurred near the mountain and so, just to be on the safe side, we put it off. Several days later, back in Taipei, we resolved to make a day trip of the journey. So early one morning, we packed up and headed out with only a short detour to find some breakfast and pick up food for the train ride. We knew roughly how long it would take to get to the base of the mountain, but we didn’t think about the extra time moving around always takes in a place where you don’t speak the language. So when we arrived in Chiayi and found a bus to the city, it was already mid-afternoon. Imagine our surprise when the people working there told us that the last bus up the mountain had left at 2pm! We hadn’t realized that the bus ride up the winding mountain passes took a full three hours, and that in order to get up in time to do something and catch a return trip, we should have been there near daybreak. With a tiny amount of Mandarin available to us and a firm resolve, we found a taxi driver willing to ferry us up to the top, and he promised it would be faster than a bus ride. He was right, but that little taxi swerving up the one-lane mountain road at high speed is still one of my least favorite memories. We made the trip in just over 2 hours, just as the sun was setting. 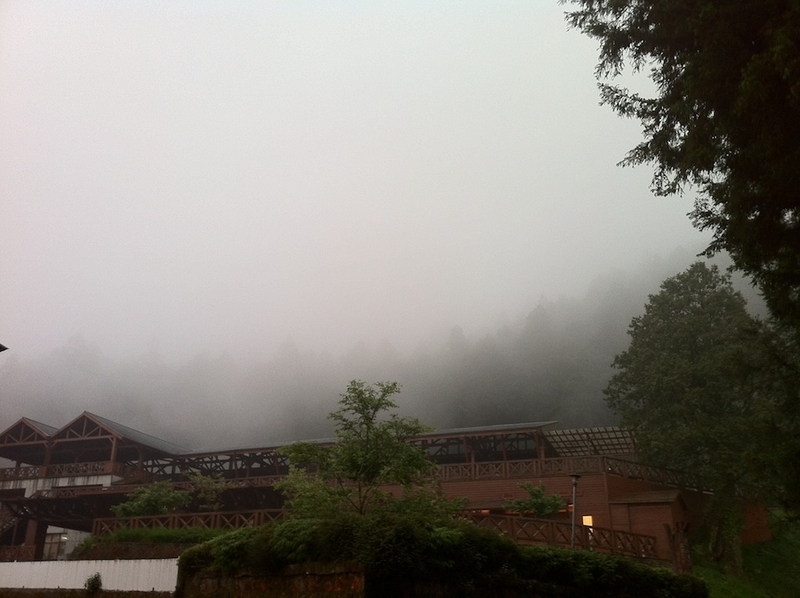 We expected quite a view, but of course one of the reasons that Ali Shan is so well suited to tea growing is the clouds and mist that often cover its peak. In a last-ditch effort we found our way to a tea shop and became their last customers of the evening. After tasting several options, I bought this tea as my favorite, and equally as a trophy of our reaching the summit of this holy place. I’ll spare you the part where we had to ask for help from a 7-11 clerk to get a taxi back down again. Even though these leaves have been sealed in a foil bag within a tin, they are showing their age. The flavor of the infusions was very light with only a hint of the creamy floral aroma that the Jin Xuan cultivar is known for. I tried three infusions, attempting to pull out something to impress, but while I could certainly increase the strength of the tea, the flavor remained so light as to be almost indistinguishable. This tea, alas, will be consigned to the bin. 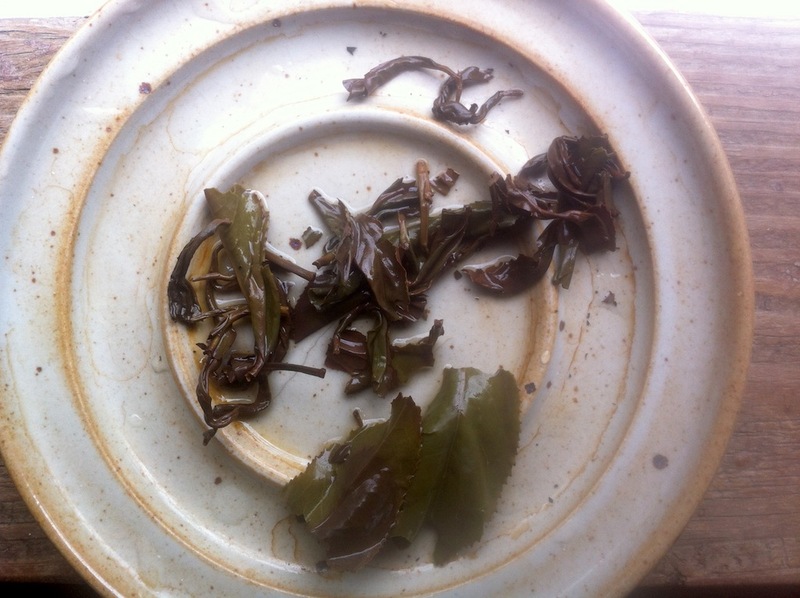 This entry was posted in Tastings and tagged alishan, oolong, stories, taiwan, tea on August 28, 2013 by payton. A little preview of a new project of mine. I have a big cabinet of tea, much of it left over from China and Taiwan, much of which is not really cutting it any more. I find myself more and more frequently disappointed by the oolongs I’m pulling out of my stash, but knowing how many I have I am loathe to buy more. Hence, this project! I have gathered all the oolongs I think are questionable together. I will taste each of these teas and determine which are still delicious and which must sadly be consigned to the ether. Round one is already complete. A long-lived San Lin Shi I bought in a Taipei Night Market and a more recent Shuping are on their way out. But the real fun is just beginning! This entry was posted in Tastings and tagged china, taiwan, tea on August 26, 2013 by payton. 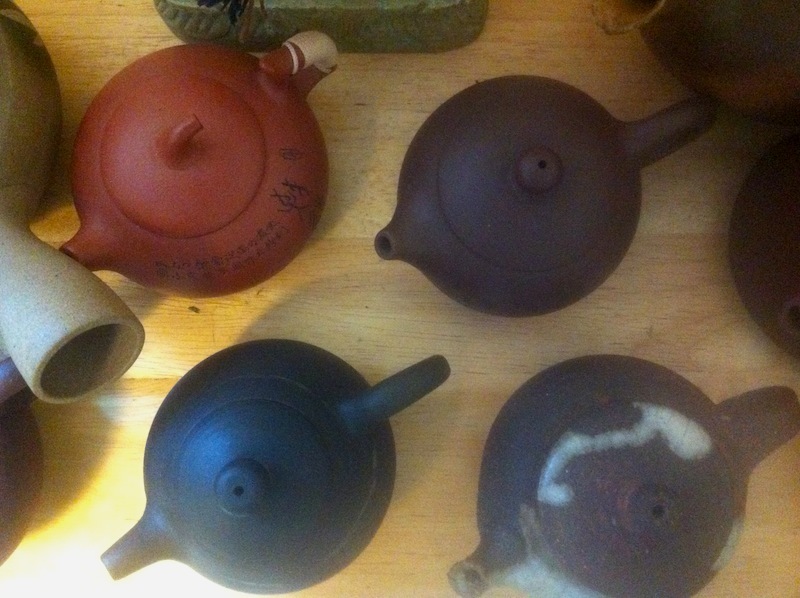 Many months ago I wrote a post on Dobra Tea’s blog about tea pot sizes. This is an updated version of that post. I often joke that the more I learn about tea, the smaller my teapots become. There’s quite a lot of truth to this, and I thought it might be valuable to explain why. Here’s a brief primer on teapots that I hope will encourage your own pursuits. Contrary to what seems popular in the US, cast iron pots are almost never used to brew tea in Asia. Traditionally, they are used to heat water over a fire, as in Japan’s tetsubin. In this case, however, the kettle must not be glazed on its interior, as high heat may damage the glaze and pollute the water within. Certainly water from these kettles is used to make tea, but the tea leaves themselves don’t enter the kettle. 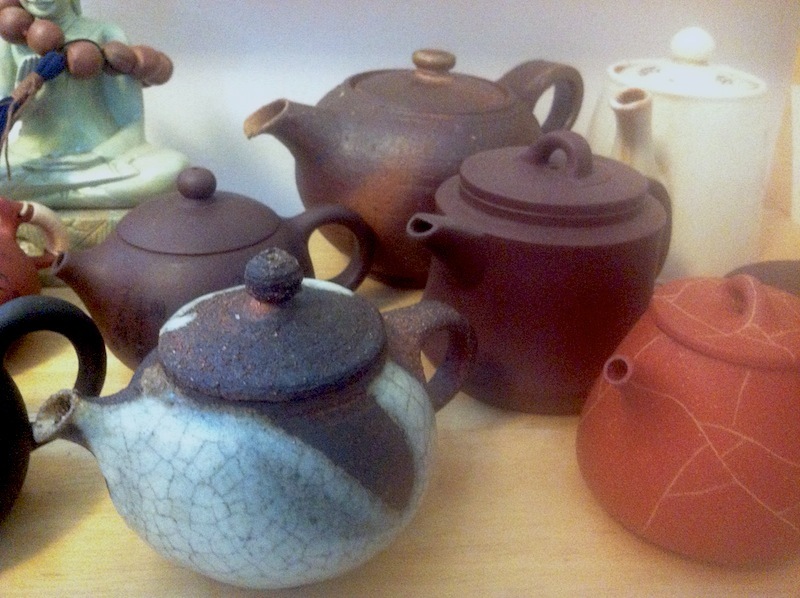 Most tea-producing countries use clay or porcelain to infuse their tea. Unglazed clay, such as Yixing (宜兴) or Jianshui (建水), can absorb subtle aromas and release them into subsequent infusions. Ideally, these pots should only be used for a specific tea to avoid the flavor of a roasted oolong from affecting your light sheng puer. Porcelain is a little easier. Hard ceramics easily handle infusing many different teas as they clean easily and do not keep flavors around. In small sizes, even an English-style “Chatsford” pot can make a wonderful cup of tea (as long as you don’t use a tea ball!). Most of my teapots hold between 100 to 400 milliliters of water. That’s about 3 oz to 13 oz or 0.5 to 1.5 cups. Once a teapot is larger than 400 ml, it becomes difficult to ensure a well-timed tea. There are several reasons for this. Most tea can become bitter or over-strong if infused for too long. Let us say that I have found a particular Green tea reaches its peak flavor at 1 minute. If I pour in the water to fill the pot, the tea begins steeping as soon as the water reaches the leaves. The longer it takes to fill the kettle, the less time remains. Then, when I begin to pour the tea, the leaves continue to infuse while the liquid is poured out. This means that if a pot takes 30 or 40 seconds to empty, at least some of the tea is steeping for quite a lot longer than I would like and may become unpleasant by the time it reaches your cup. Certainly it’s possible to compensate for the added time by beginning to pour your tea early, but then the portion of the infusion that is poured first will be somewhat under-steeped, which when mixed with the rest of the pot will yield a watered-down cup. This is all complicated by the fact that some teas (particularly those with small or broken leaves) can be over-infused after only 20 or 30 seconds! Another reason for a small teapot is something of a spiritual one. If a tea is prepared in a small quantity, it is much more likely to be appreciated by its audience. Throwing back a gulp of tea, you may never taste the subtle nuances, good or bad, that become obvious with a careful sip. Ultimately, of course, tea is a personal experience, and the choice of teapot should above all be one that is comfortable and suits your own style. Don’t be afraid to experiment! 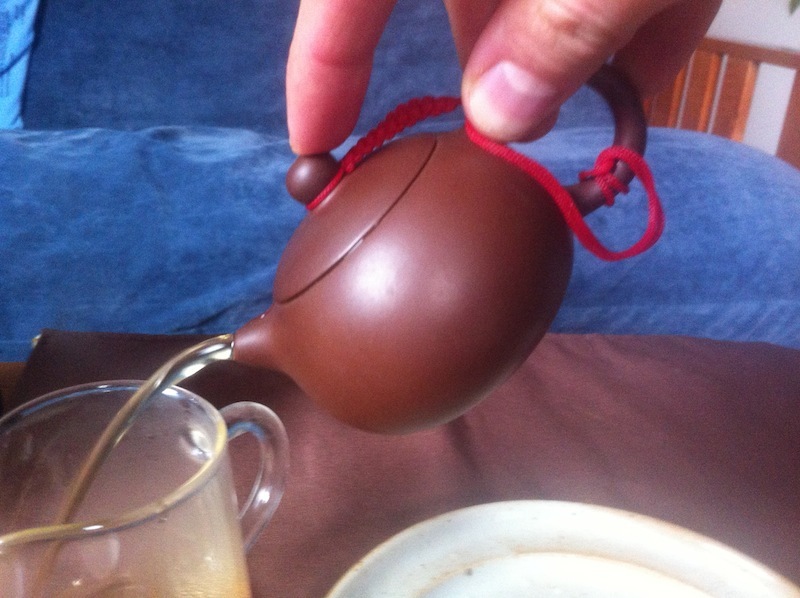 I bought a small teapot in Hangzhou that I planning on giving as a gift. I didn’t have huge expectations for it. 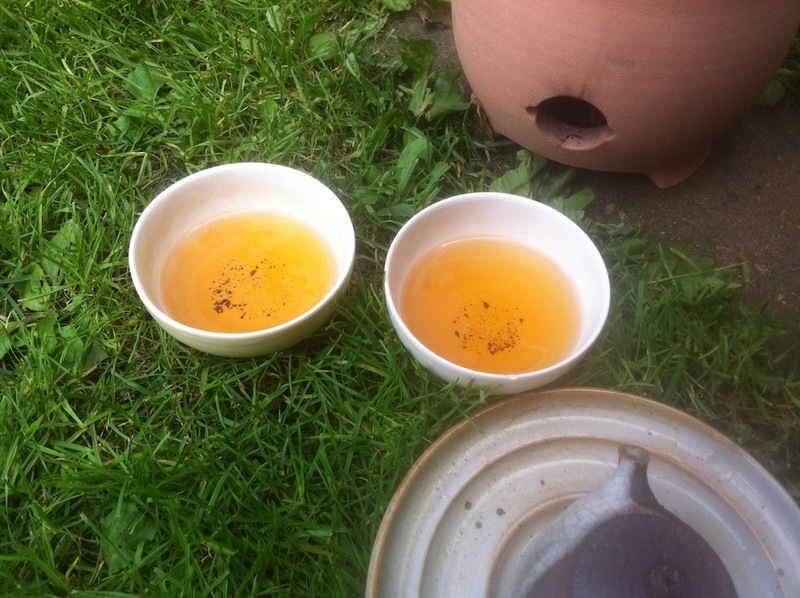 When I tried it out and made some shou puer, it poured terribly. 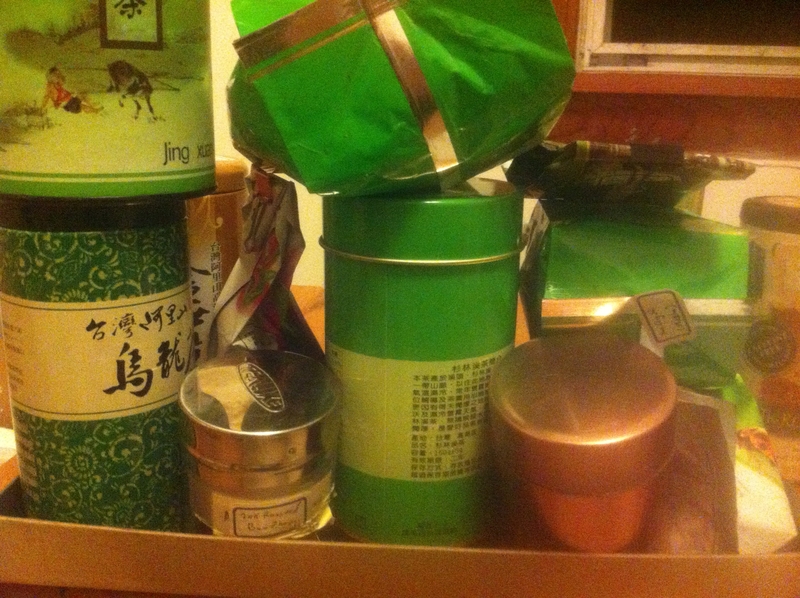 However, I have since found that it makes an excellent Hong Cha pot and now I use it every week. It’s a learning process for all of us. Keep pouring. 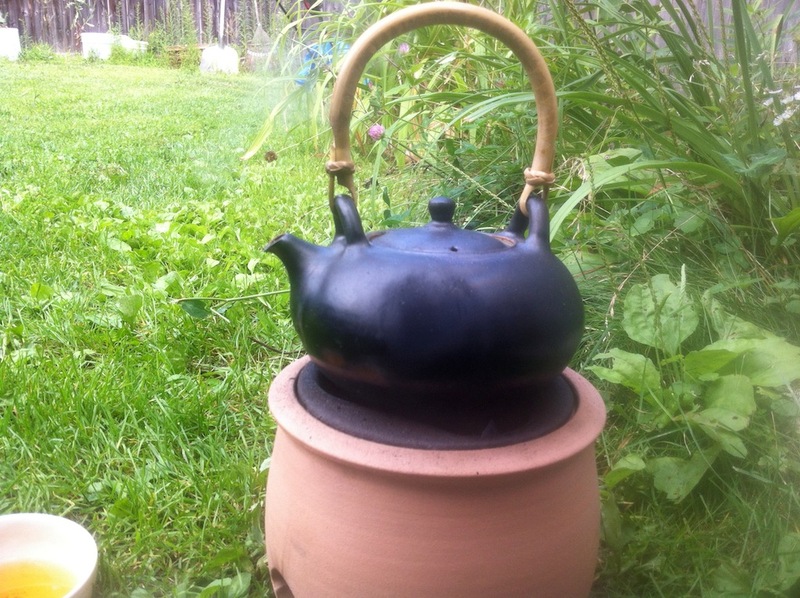 This entry was posted in Teaware and tagged teapots on August 8, 2013 by payton. Hey, that’s just like the inside of the tea stove! I don’t think it was designed with this lighting technique in mind (judging by Peter Novak’s posts), but it worked quite well for us. We filled the bottom of the stove with newspaper and set it on fire, and then placed several hunks of charcoal in the top grate. The paper burns quite quickly, of course, so we continued to feed more paper into the bottom section through the large air holes as it burned. It may have worked even better if we had some actual kindling in there to keep the fire going with less work. The result: glowing charcoal in about twenty minutes! I think we can even do better than that, now that we have some idea of what we’re doing. To celebrate, we infused several delicious pots of a buttery Hawiian oolong, given to me as a gift by the owners of Dobra Tea after their travels there earlier this year. So bold in color, but mellow and sweet in taste, I’m very happy to have this tea and the wonderful tea stove with which to make it! 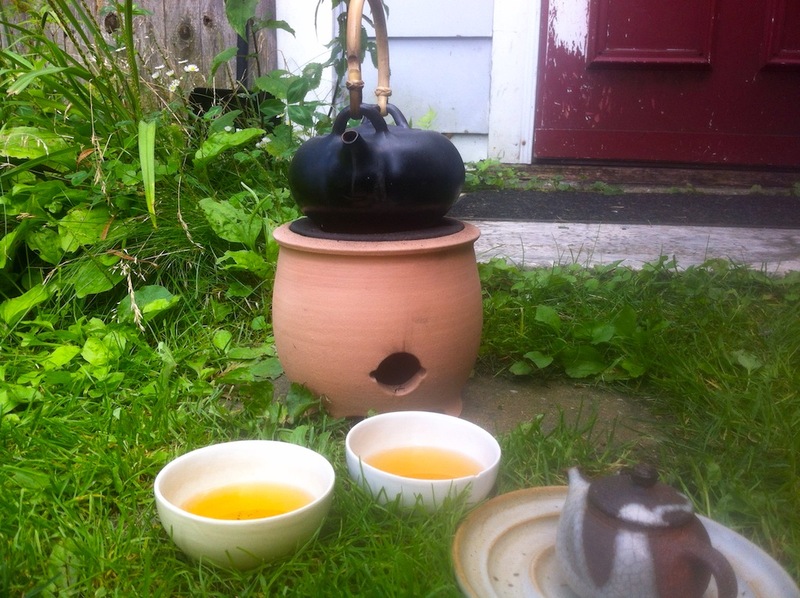 This entry was posted in Tastings and tagged brazier, charcoal, hawaii, oolong, stove, tea on August 2, 2013 by payton.